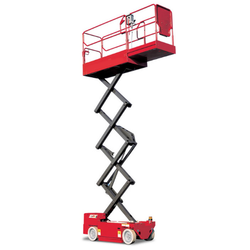 Pioneers in the industry, we offer lifting platform from India. We are highly regarded enterprise manufacturing and supplying an assortment of ultimate quality Lifting Platform. Owing to their fabrication with superior quality component and contemporary technology, these platforms are utilized in lifting and transporting of heavy dies and materials. Our offered lifting platform is resilient in design, ultra effective in bearing heavy impacts and weather proof. Furthermore, after stringent quality testing, we supply our products in various configurations for serving diversified needs of customers. Ram is Hard Chrome Plated. Looking for Lifting Platform ?